Important : this article is purely about aviation, not about the situation in East of DR Congo. According Times Of India, from later this month, Indian Air Force will start to deploy its brand new Boeing C-17 to Rwanda. It will airlift Indian troops based in the Kivu Region (DR Congo). 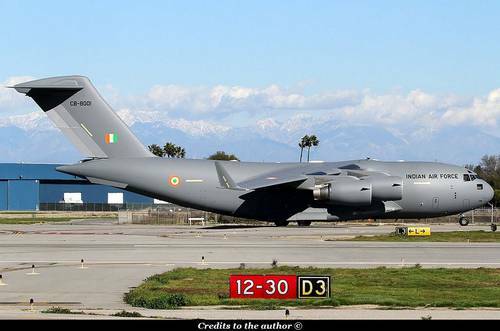 It will be the first mission in Africa, for the Indian Air Force Boeing C-17. Defence ministry sources on Monday (09 September) said while one C-17 made a trip to energy-rich Tajikistan in August, another is slated to fly all the way to Rwanda later this month. "The Tajik flight carried special equipment, including instrument landing aids. The one to Rwanda will carry heavy equipment to support our troops deployed in the UN stabilization mission in war-ravaged Congo," said a source. Currently Indian Air Force operates three Boeing C-17s, delivered in August 2013. 5 others will join the Air Force, in November 2013 and in 2014. They will replace in the future, Ilyushin 76s, which are becoming too old. Some flights between Rwanda and India are also operated by various airlines, such as Ethiopian Airlines, which leases an aircraft to United Nations. Boeing C-17s will bring extra capacity, for the India Air Force but also a better range. 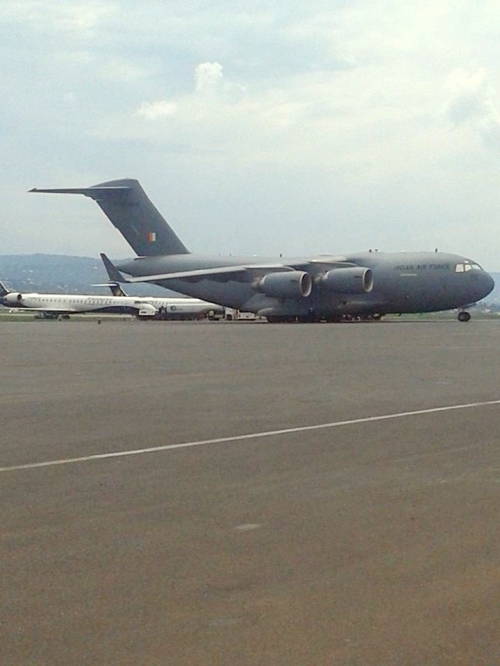 The C-17 flight to Rwanda, in turn, will be "critical" in supporting the 4,000 Indian troops deployed in Congo. "The C-17s have tremendously boosted India's capabilities for strategic operations overseas. It would have required three to four trips by our older IL-76 aircraft to carry the heavy load to Rwanda, which is the gateway to Congo. The C-17 will do in a single non-stop flight," said the source.